Have you ever did night walk in FRIM Forest to search for reptiles and amphibians at night? 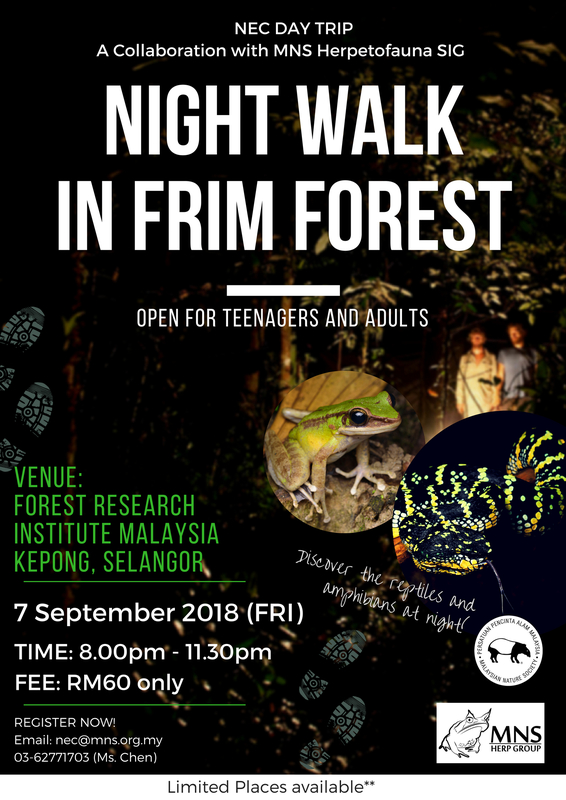 Now is your great chance to join us for the Night Walk in FRIM Forest on the upcoming September 2018. This walk is collaborating with the MNS Herpetofauna Special Interest Group (SIG). You can learn so much from them about the reptiles and amphibians such as the characteristics, behavior, habitats and so much more. Please keep bank in slip and email or bring during the actual date of camp as proof of payment.